Ease of use and access. 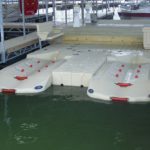 EZ Port® offers the simplest drive-on, push-off method of dry-docking. 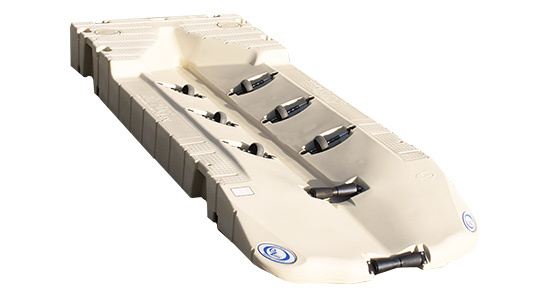 Drivers can’t overshoot thanks to a raised bow stop and there is no hoisting, cranking or winching needed. Flexibility. 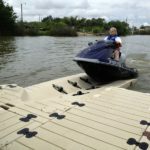 EZ Dock personal watercraft floating docks can be used in marinas, housing developments, lake houses, homes and businesses of all kinds. 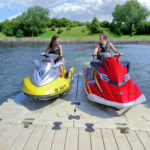 Ideal for both commercial and personal use, they’re a great addition anywhere PWC users are. Stability. The EZ Port® is durable and stable, reducing movement and allowing PWC users to gain their footing comfortably. Protection. 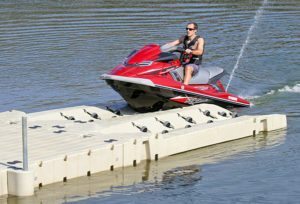 EZ Dock tandem PWC lifts move with changing water levels, protecting personal watercraft from waves, wind and the damage they can cause. EZ Port jet ski ports (lifts) can be mounted as part of the EZ Dock floating modular dock system, to any existing dock, or used as a stand-alone docking station. 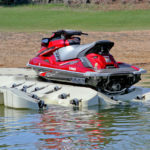 EZ Port adjusts with water levels and protects your personal watercraft from damage caused by wind or wave action. 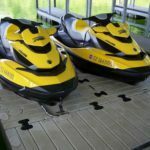 EZ Port PWC lift installation requires few tools and very little time. 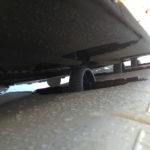 However, installation is available if needed. 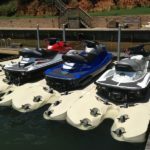 The EZ Port dry-docking system is the fastest, simplest, and easiest personal watercraft storage to use. 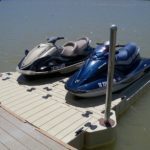 Accommodates PWC’s of all shapes and sizes up to 1,700 lbs.